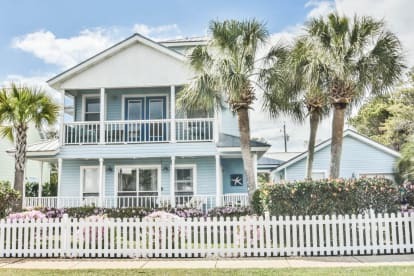 DEJA BLUE was purchased in January 2017 and we had it renovated and updated, it is our only Vacation Property. We are originally from the Cincinnati area, and love to spend time with Friends and Family, to Travel and often have a Foster Dog in our Home. We love our Reds and Bengals! We are both OU Bobcat Alumns! We are excited to share this Vacation House with you as Guests and hope you enjoy your stay!